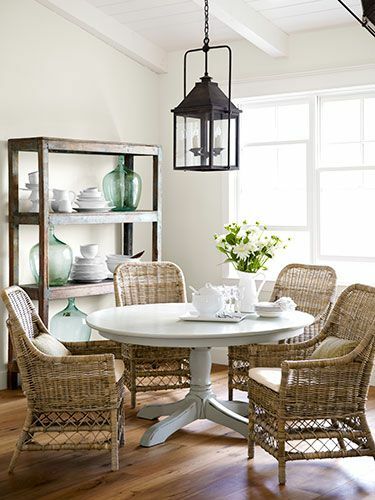 Do you like dining areas with rattan chairs? I’m always drawn to these spaces for the relaxed, airy vibe. 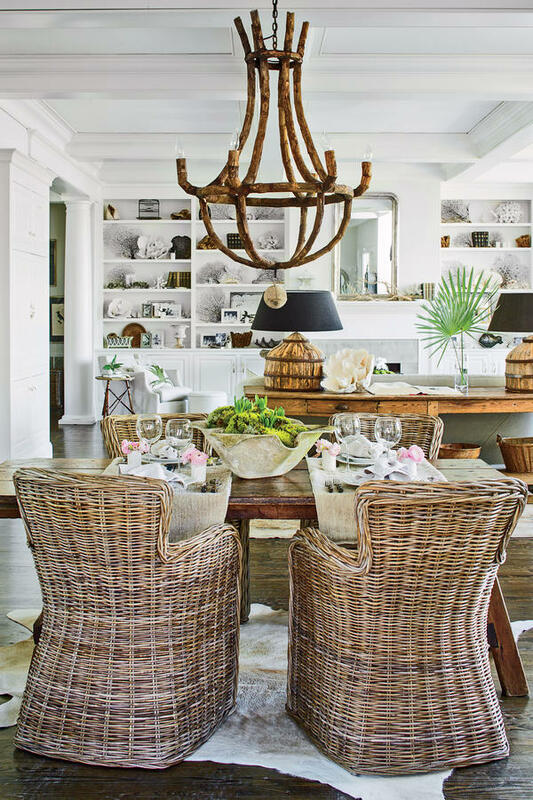 Rattan chairs add loads of texture and charm to a room and seem to say “Come linger over mimosas!” A little cottage, a little beach, a little farmhouse…perfect just about anywhere! Here’s some of my favorite spaces. 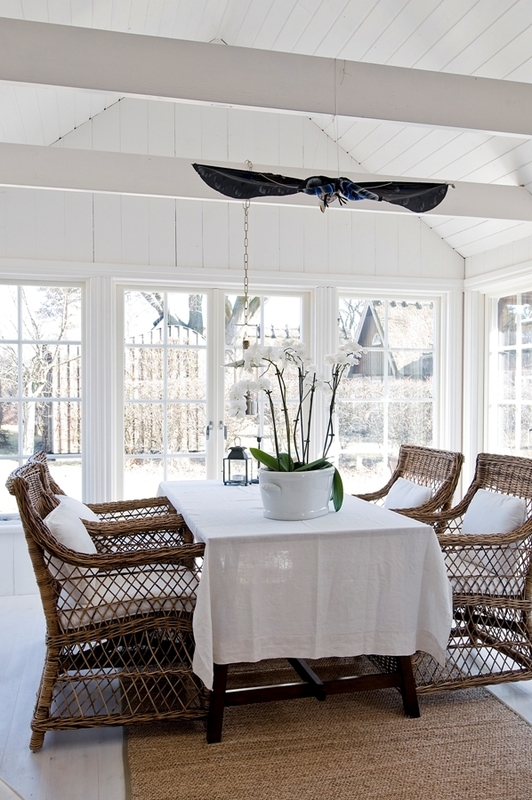 These rooms have me ready for spring! I was so surprised to see a new line of furnishings in the new Pottery Barn catalog that are designed for both smaller spaces and a smaller budget. So cool, right? My favorite part is that the pieces are all neutral and fairly basic which I think is so important when shopping at a lower price point. Always look for value priced furniture that has clean, simple lines and basic upholstery. The more bells and whistles, the more room for error. Nothing cheapens the look of furnishings (and therefore your home) more than a shabby finish or poor upholstery that’s “trying” to look upscale. Here’s a few pieces that really caught my eye. Love, love this powder coated console! Small scale consoles are really hard to find and I love the unique, textured finish on this one. $169 isn’t bad at all. A small scale coffee table is something else that hard to find. I love this Mateo coffee table because it has storage on the bottom! Even though it has a farmhouse style sort of shape, the finish isn’t too rustic which I think is a good thing. Rayne upholstered storage cube. You can find these anywhere, but the shape of this one is really unique and sets it apart from all the square ones I’ve seen. This swivel chair probably isn’t wide enough to be really cozy for an adult but it swivels!!! If you have a small room and need another seat in view of the television, a swivel chair is perfect. Parents on the sofa, kid in the swivel chair. I love the track arm style and the slip cover is removable which is always a plus when you have kids and pets. Speaking of slipcovers, this chair is my favorite bargain of all. $99! The slipcover has flange seams which I adore. This parson style chair can fit in with so many styles and linen is always a good choice. My only issue is that the seat is a little deep, so make sure it will slide under your table and not look bulky. 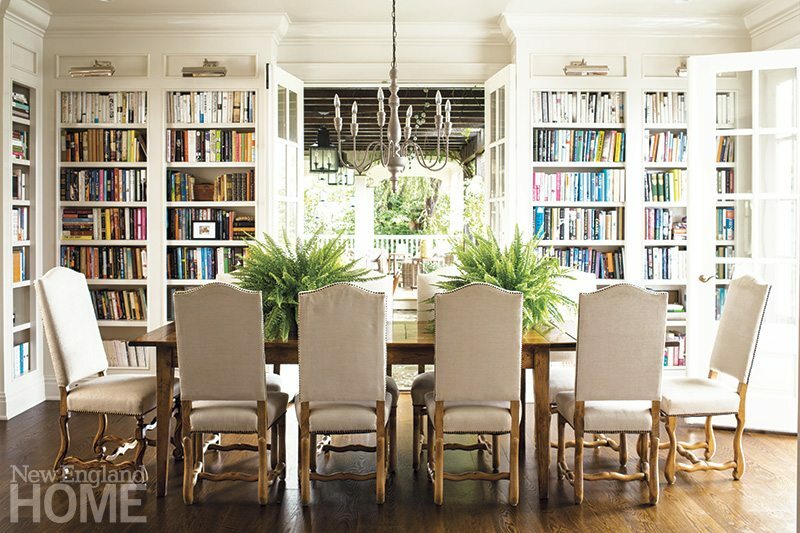 I have long loved library dining room combos ever since Emily Clark created a home office in what was “officially” the formal dining room in their old home. What a wonderful way to make a little used room more accessible for everyday use. Using a table instead of desk means the room can accommodate dining with minimal effort. The stacks of books and treasured collectibles up the cozy factor and help take the notion of “formal” down a notch or two. 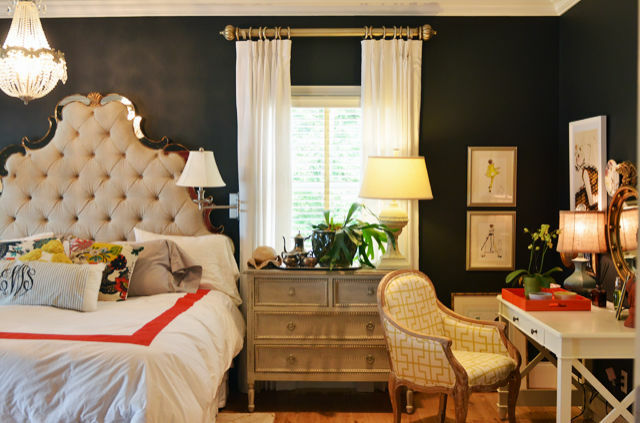 Another gorgeous room that begs you to linger with a glass of wine and a book! 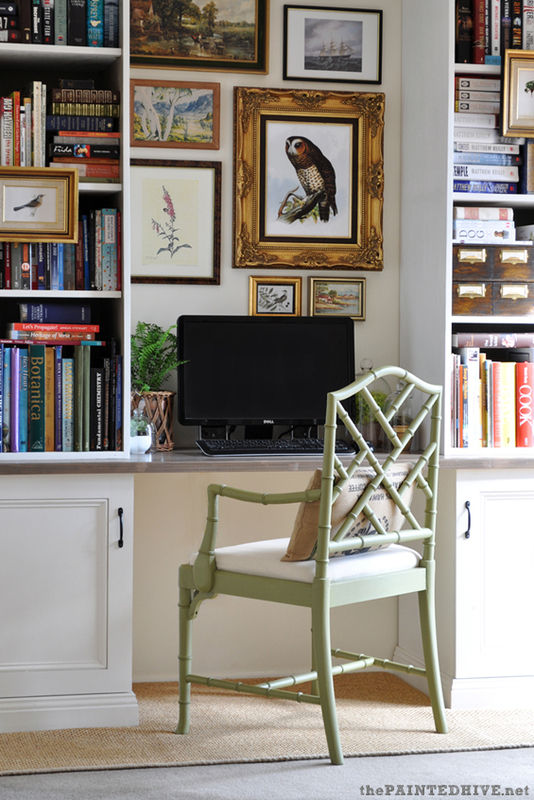 I don’t always love mismatched chairs, but they work so well in this room! I’ve adored this space since the first time I saw it. That window seat! This room is perfection, no? Love the use of space here and that gorgeous pocket door! This blue with pops of red. An energizing palette that’s soothing at the same time. How do you feel about this combination? 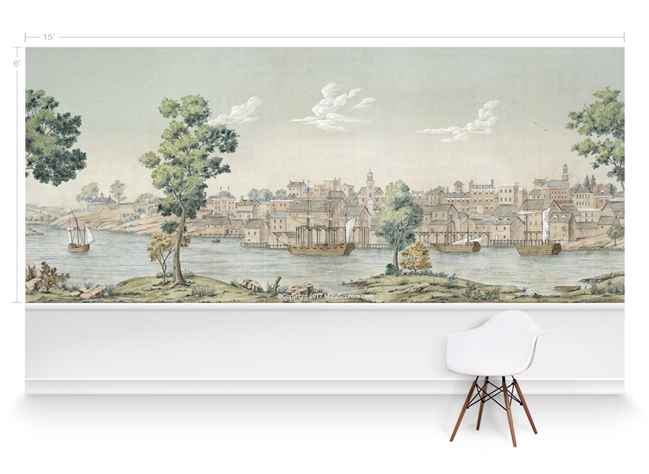 Open floor plans had their moment but I think dining rooms are coming back into vogue these days. Creating a library in a formal space, in my opinion, is the perfect way to marry function and beauty. 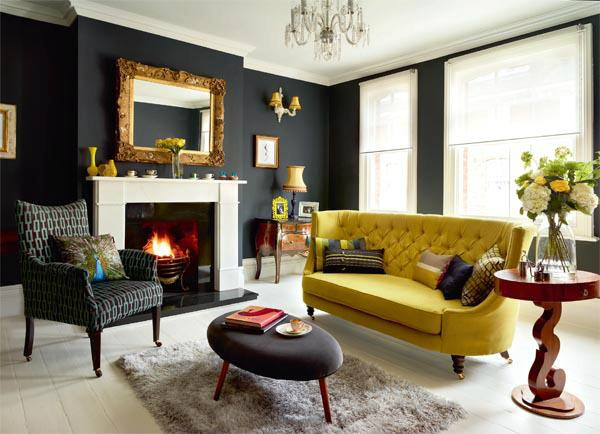 If you follow decorating blogs and read interior design magazines with any frequency, you’ve probably noticed black walls coming into vogue after years of light! bright! white! trending everywhere. Suddenly, Scandinavian minimalism is being replaced by moody and dramatic interiors with a bit more sophistication. Not that there isn’t room for both. Of course there is! 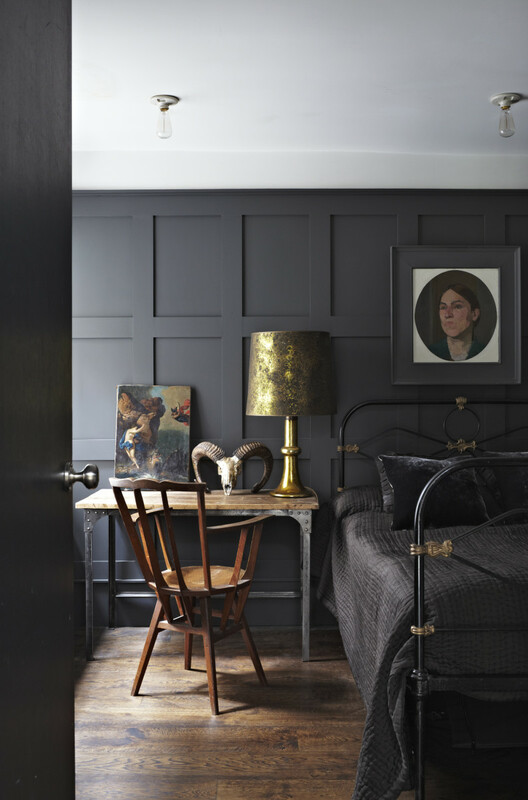 But I think darker paint colors are the driving trend at the moment and I predict we’ll be seeing more and more as we move ahead. I gathered some images of black walls (yes, black!) that are really beautiful. Black is the perfect backdrop for gold hues, organic elements and textural pieces. It’s all about the contrast! 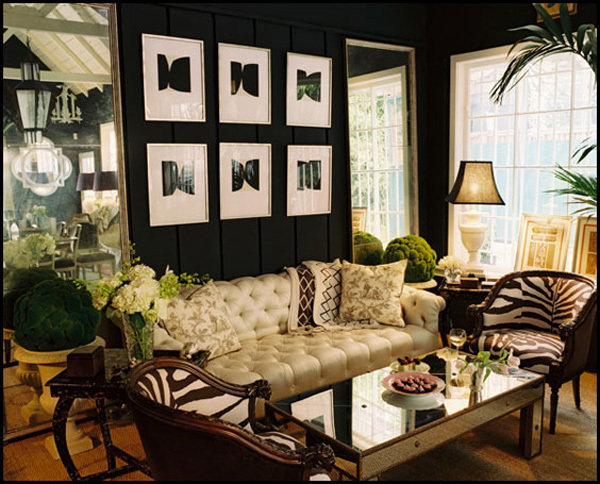 Would you do a black room? 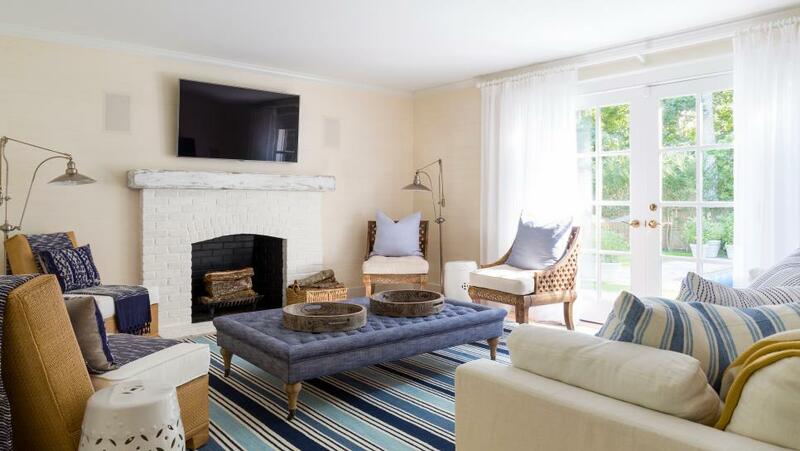 After spending a good part of this summer working on a dining room project, carting kids to camps and lolling about the pool, I’m finally back with a round up of classic blue and white striped rugs. 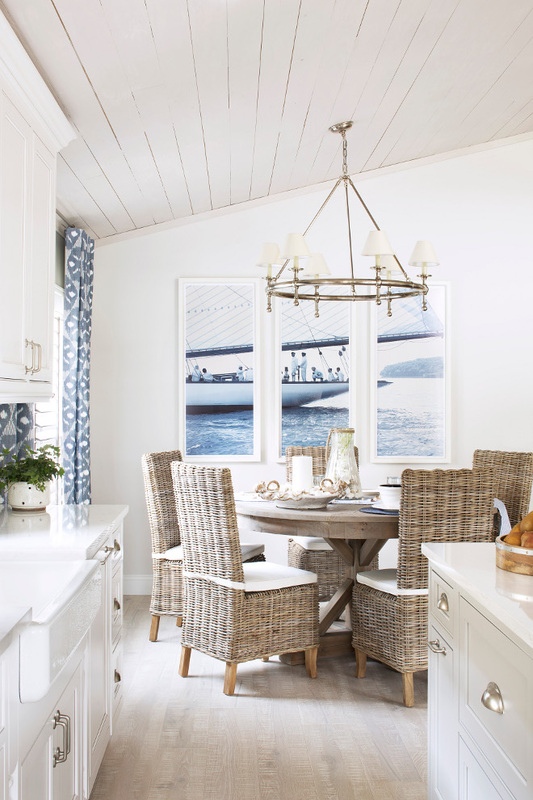 These flat weave rugs with their nautical flair work well in a casual space but can also sway a little more sophisticated, like in the traditional room below. I love everything from Tom Sheerer. Those beams! Want the look? Here’s a roundup of affordable blue and white striped flat weaves.